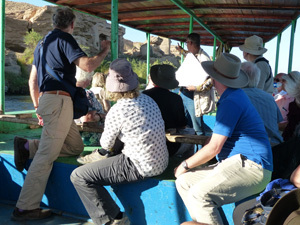 A NEW course taught mostly in Luxor with daily lectures and exploration of relevant ancient sites, including special openings of the tombs of Nefertari, Ramesses II and Seti I. A series of ten lectures on Egypt’s fascinating Nineteenth Dynasty, focusing on the reigns of Seti I, Ramesses II and Merneptah. 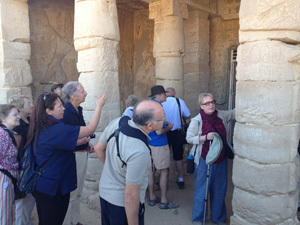 Teaching by Dr Stephen Harvey, a respected Egyptologist and archaeologist. 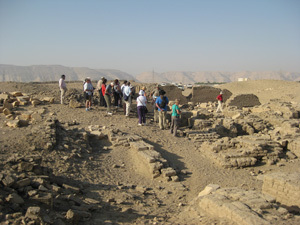 A carefully-considered programme of site visits to complement the varied lecture programme. 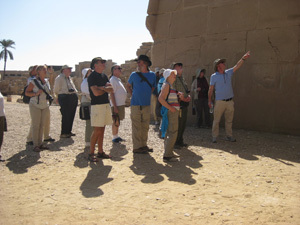 Several visits to sites usually closed to visitors: the tombs of Seti I and Ramesses II in the Valley of the Kings; the tomb of Nefertari in the Valley of the Queens; the rock-cut temple of Seti I at Kanais; the Ramesside temple remains at Kom el-Sultan (Abydos). Long, exciting days returning to wonderfully-located hotels. 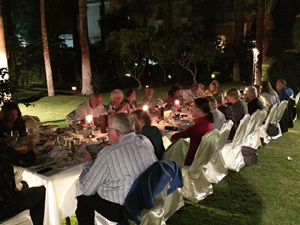 Plenty of time to socialise with Stephen Harvey and fellow participants, for example at the nine included group meals. Course Coordination by BSS Co-Director Lucia Gahlin, who will accompany the group throughout. 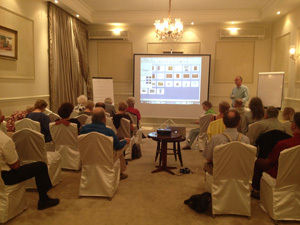 Coordination in Egypt by Galal Alsenusy who has arranged all our BSS in Egypt courses to date. 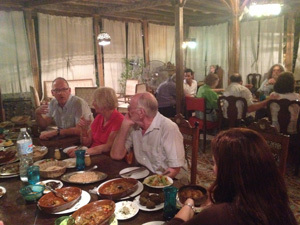 Delicious Welcome Dinner at Sofra in Luxor. Usually overshadowed in modern times by the better-known intrigues of the Eighteenth Dynasty, the Ramesside period represents a fascinating continuation of artistic, religious, and political themes developed during the earlier phase of the New Kingdom. Founded by a general of non-royal birth, Paramessu, the first to call himself a Ramesses, the Nineteenth Dynasty saw the maximum expansion of Egyptian empire to the south and north, as well as internal conflicts with rivals to the throne, including the rise to power late in the period of one of Egypt's only female pharaohs, Tawosret. The great warrior pharaohs Seti I and Ramesses II were prodigious builders, and this course allows a rare chance to consider in detail a wealth of historic and artistic sources of the period, encompassing royal tombs (such as the extraordinary tomb of Seti I in the Valley of the Kings, and Nefertari's peerless tomb in the Valley of the Queens), shrines, quarries, and temples. We will closely examine the reign of Merneptah as well (in particular his funerary temple at Thebes), and consider the evidence for the Exodus within the context of international relations. 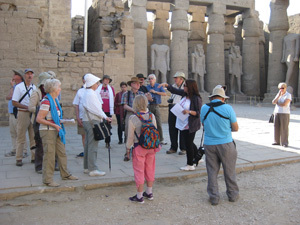 Through a close look at nobles' tombs of the period, as well as village life at Deir el-Medina and elsewhere, the course will bring to life a period rich in colorful stories, innovative images, internal strife, warfare, and diplomacy. 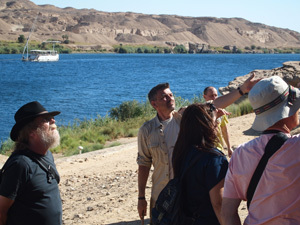 Dr Stephen Harvey taught our highly successful BSS in Egypt courses on Abydos in 2012 and Pyramids in 2014. 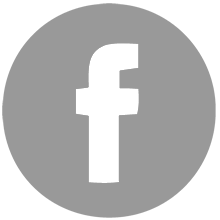 He has been Director of the Ahmose and Tetisheri Project since 1993, excavating the monumental complex of King Ahmose at Abydos. 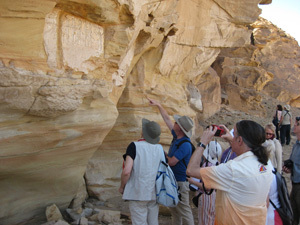 This will be a fantastic opportunity to hear this distinguished Egyptologist give a week of lectures in Egypt.